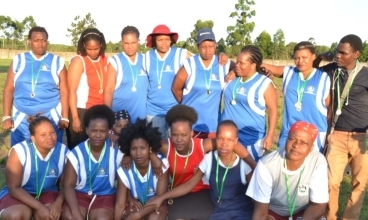 SQF support Sport Tournaments in Nyalazi, KwaMbonambi and Port Durnford organised by the communities and sponsored by Contractors. 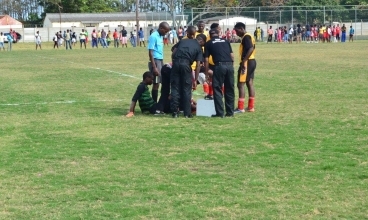 These Sport Tournaments are a platform to create fire awareness and the youth address social ills like drugs and alcohol abuse, and crime. 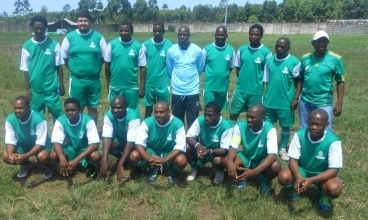 This is also to encourage youth to participates in sports. 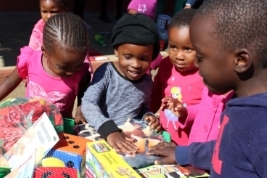 Mondi and SQF employees and Contractors sponsor a Christmas box for Orphans and Vulnerable Children in SQF communities. This is to support those who are in need who cannot make Christmas special for OVCs. Christmas is a time that is filled with celebration and lots of activities for children in the rural areas. The Christmas Box consists of set of clothing, toy and school shoes. A total of 336 children receive these Christmas Boxes every year. This is a partnership between SQF, the Department of Health and Mondi. The aim of this project is to strengthen PHC Mobile Services in the underserved areas of King Cetshwayo and UMkhanyakude Districts. 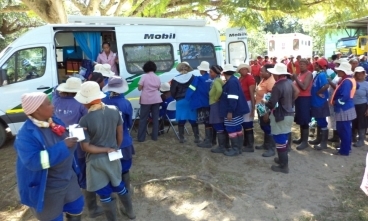 The SQF Mobile Clinic started operating in May 2013, covering 19 points which include villages and neighbouring communities. Areas of operation are Hlabisa and Mtubatuba areas at uMkhanyakude and Mfolozi and Port Durnford areas at uThungulu. 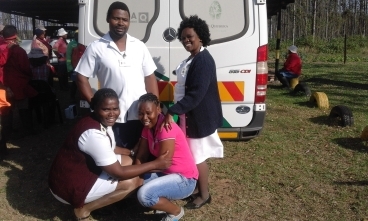 King Cetshwayo district provides the mobile staff and UMkhanyakude provides goods and services. This collaboration has yielded very good results in terms of increasing access to primary health care services, the uptake of HCT and the initiation of deserving clients to the ART Programme has been noted. This has decreased the defaulter rate of TB and ART patients who were unable to access treatment in the far flung areas of the Province particularly around the SQF Mondi Contractor employees community. The mobile service that is run by the DOH nursing personnel has added value to the lives of the contract workers who for a long time were unable to receive treatment near the work environment. INGWE Youth Leadership Programme is a youth development project that empowers young people aged 14 -25 years with the purpose of reducing their engagement in risky behaviour. This project was done in partnership with Mondi and a German NGO, GIZ. With this project SQF hopes it will bring positive social change in the youth, unlock their potential and provide an environment that enables them to become leaders of tomorrow. Youth identified were trained in youth leadership skills, communication skills, business skills, project proposal skills and conflict management skills. 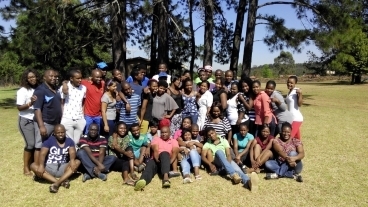 From this training two youth groups from KwaDlangezwe and KwaMbonambi were formed, Be Youthful and Be Innovative. Be Youthful conduct their HIV/AIDS awareness symposium for young women and they have launched their healthy lifestyle programme. Be Innovative The Dlangezwa have started a vegetable garden, fenced their project site and started planting. 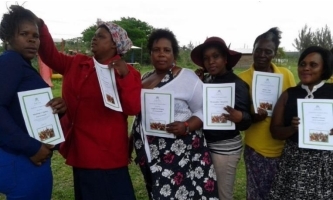 Two members from this group were trained in hydroponic farming at Buhle Farmers' Academy. 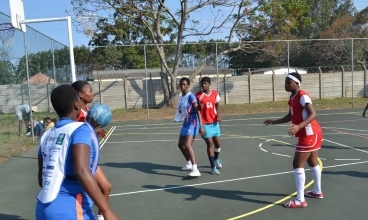 The KwaMbonambi Isibindi Project is located in Nzalabantu under the organisation called Ikhayalethemba Community Care Centre. The programme was initiated by Mondi and in partnership with National Association of Child Care Workers (NACCW) to establish support to orphaned and vulnerable children through the employment of Child and Youth Care Workers (CYCWs). There are eight qualified Child and Youth Care Workers (CYCW) funded by SQF. 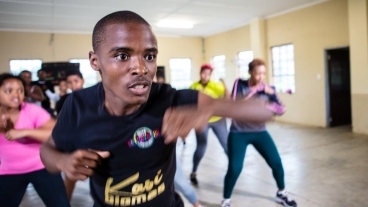 The Department of Social Development has funded the Ikhayalethemba by adding six more CYCWs. The duties of CYCWs include home visits as per the needs of each household. 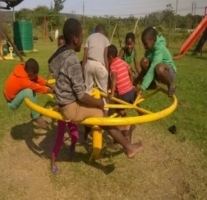 There are specialized programmes such as Isibindi Safe Park whereby young people engage in outdoor activities under the supervision of CYCW and this helps enhance their social skills, provides them with exercise and allows them to have fun and learn from each other. The purpose of this project is to ensure that children are developed holistically through physical activities and academic support. There is a total of 369 children. The Port Durnford Orphans and Vulnerable Children (OVC) Centre is located in Port Durnford. Initially SQF supported the Port Durnford OVC through Noah. After they pulled out SQF continued supporting the OVC directly. There are five Child and Youth Care Workers (CYWC) who are volunteering in this centre. 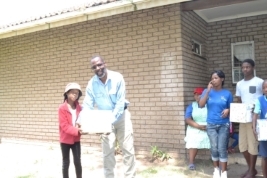 Among other duties the CYCWs conduct home visits to the homes of OVCs, assist the OVCs with homework and budgeting and link OVCs with SASSA and Home Affairs to ensure that the OVCs receive grants. They also prepare warm cooked food for children after school at the centre. SQF pays a financial donation every month to the Port Durnford OVC. There are currently 134 children being serviced by this centre.